Whether you’re a Trekkie or just someone who loves sci-fi, Star Trek Discovery is the show to watch. Here are the many ways to watch all seasons. Care to go on an intergalactic adventure on the Star Trek universe? We would be more than glad to have you on board! If you’re familiar with Star Trek, then you’re not going to miss out on its spin-off, Star Trek Discovery. Set years before the events of the Original Star Trek series, this TV series produced by CBS follows the adventures of the crew of the USS discovery and protagonist Michael Burnham (played by Sonequa Martin-Green), a science specialist. The series is currently on its second season, with a potential third one confirmed last February. There’s no scheduled time to watch Star Trek Discovery because it’s on Video on Demand (VOD). If you’re a fan of Star Trek, then you’re going to like this list that we compiled of ways how you can watch it online. Check it out below! With so many premium streaming sites on the rise in the market today, it’s no wonder that cable channels have also stepped up their game by offering plans for streaming online. CBS, through its VOD platform CBS All-Access, does just that. For a reasonable monthly subscription fee, you can stream all the content CBS has to offer on their website along with exclusive access to other CBS exclusive titles! If you don’t like watching on your computer, there’s also an application available on iOS or Android for free. You can even download videos and play it offline. How convenient! CBS Pricing: CBS All-Access $5.99/month with commercials; $9.99/month w/o commercials. Star Trek fans can rejoice because Netflix has acquired streaming rights for Star Trek Discovery. But knowing Netflix, its so-called geo-restrictions limit the content for specific countries. As a result, Star Trek is not entirely available for everyone to watch. Even if this is so, you can still watch Star Trek with absolute freedom even if you’re not residing in the regions where it is available. How? Just use a VPN. Read about it here. In case you didn’t know, Amazon has just started a new partnership with CBS All Access. With the announcement of CBS that its CBS All-Access service is now available on Amazon Channels, Prime subscribers can add CBS-All-Access on top of their subscription with commercials or none. That’s Star Trek Discovery plus all CBS-exclusive content at a reasonable price. You can also use your Prime membership to watch and download the episodes on the Amazon website. It depends on your preference. In addition, users can try the CBS All-Access for 7 days for free, with incurring charges thereafter as mentioned. If you’re residing in the US and all you have is an iOS device, you can also download Star Trek Discovery on the Apple iTunes Store. The bad news is that only the first season is available for sale and for download, so season pass viewers might have to wait some time to gain access to season 2 when it finishes airing. For non-residents, all you need to do is make a US iTunes account to start watching and downloading. Vudu is an upcoming streaming platform in the market, so if you’re looking for something new, you can check this out. It also lets you download the episodes on whatever device you have so you have the freedom to choose on where to stream. But as with iTunes, season 2 is also not available on Vudu. You might have to wait a little while to see it on its website. A little consolation on the side: It has lots of bonus content. Indulge on it while waiting for the 2nd season to be available. CBS All-Access is a relatively new player in the streaming industry, so seasoned streamers might have trouble getting used to the new interface and system it brings. If you’re not into testing new waters or you’re not currently subscribed to any premium streaming platform mentioned above, consider this as your lucky day. If you’re looking for other ways to watch Star Trek Discovery – here are the alternatives. Check it out below! 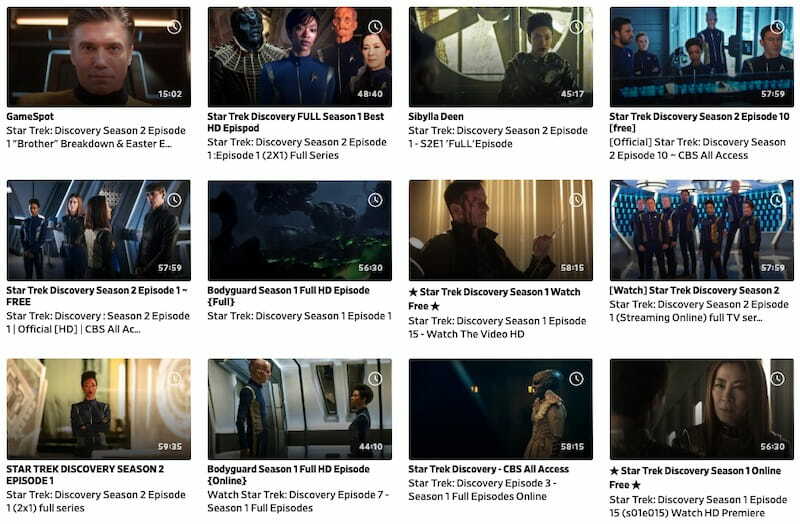 Star Trek Discovery is a CBS-exclusive, so it’s no wonder that you won’t find any of it on unofficial streaming sites very soon. But some slip-ups happen and one common site uploaders resort to is Dailymotion. Dailymotion’s copyright infringement policies is a lot less strict than its Google counterpart Youtube, so you can expect to have some previews or episodes on the site. However, don’t expect to find it all here. Not all the links that the site provides are all reliable. Some are just posted there for the sake of getting clicks and redirections. Try out other options if you deem it necessary. If it’s not on Youtube or Dailymotion, you have to resort to other alternatives. Users sometimes upload their material on other sites which host content from other streaming platforms. Try openloadfreetv for example. It has a wide library of titles ranging from Netflix exclusives, TV series and others. It rakes in a lot of views and likes because it’s just a platform that provides users with a ton of options. But exercise caution when clicking links on this website. Ads pop up every now and then at every click (even on the search bar) so a hassle-free streaming experience is out of the question. If Dailymotion and our recommended alternative didn’t do the work, then you can always try it out on Google. But be careful, as the sites and links provided tend to have lots of ads and redirections. It’s best to have your AdBlocker enabled for safety (or a premium VPN that has some protection). Downloading and sharing copyrighted shows is illegal. As we’ve stated before, we do not condone piracy or violations of copyright laws. 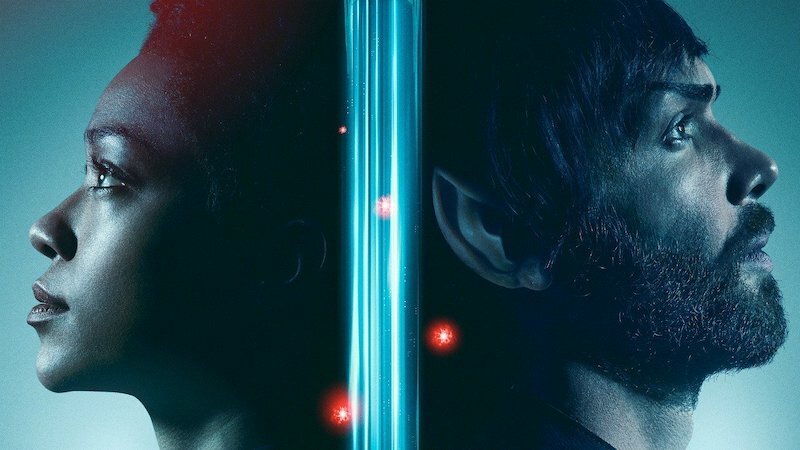 If you’re keeping your own copy of Star Trek Discovery, don’t upload it on sharing sites. It’s illegal and punishable by law on multiple jurisdictions. In this regard, we suggest that you use a VPN to safeguard your privacy and safety. Should you still decide to pursue your torrent activity, do yourself a favor and check out our compiled list of dependable VPNs for torrenting. 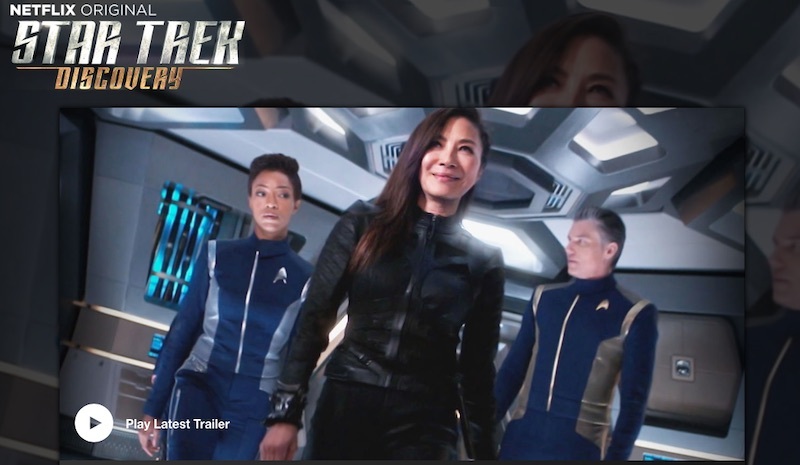 CBS’s All-Access may be heaven sent for some itching to watch some CBS goodies, but for those who are on cable subscription or outside the US, accessing Star Trek Discovery and other titles might be a problem. If you want to access all CBS-exclusive content and other streaming sites including Netflix without worry, use a VPN. A Virtual Private Network hides your IP address and uses their own server in various locations around the world (in this situation, the US) so you can browse content not available in your region. But CBS, Netflix, and other streaming sites are tough cookies to crack. They always guard themselves against VPN services, and quickly find their IP addresses and block them. But we’re a tougher cookie to crack – we know the VPNs that work with unblocking Netflix. There can be so many reasons why we recommend ExpressVPN as a go-to premium VPN this year, and one of the reasons is that it’s 100% compatible with Netflix. With unmatched Internet speeds and an unrivaled number of servers, you can stream Star Trek Discovery on virtually anywhere around the globe. The price tag is at $8.32/month for a year – a pretty fair price to pay if you’re looking for a dependable VPN with top-notch service. It also supports torrenting, so you can download through p2p connection with ease. If you want to resist the $8.32 price tag, then here’s another option which is a lot cheaper but performs just the same, NordVPN. It’s a more affordable version of ExpressVPN at $2.99 per month for 3 years. That’s around $107.64 for unrestricted access to CBS, Netflix and other streaming sites for 36 months! NordVPN also offers the same services as ExpressVPN like high internet speeds, multiple servers in different countries, and torrenting support. It’s literally an ExpressVPN subscription for almost a third of the price. We recommend subscribing to one of these two VPNs because it can protect your privacy and activity on the Internet. They are 100% worth it. You’re paying for a premium streaming service, but with lots of other options. Other subscriptions like CBS only offer content that’s exclusive to them. Whereas, with a VPN enabled, you can access so much more. You can download or torrent without interference. No snooping and prying – even from the government. They are extremely affordable. If you can pay for a CBS All-Access or Netflix subscription, you can definitely afford a VPN subscription. We get it. It’s a lot to consider and you can’t afford a VPN subscription so you’re resorting to free ones. 99% of free VPNs contain malware and viruses. They get your data and sell them to the lowest bidder. It’s dangerous and risky as your data might be used for malicious and unlawful purposes. You would not want to be left with an exposed identity and an infected computer, wouldn’t you? Don’t think twice and just get yourself a VPN. It’s for your protection and security. If you found this guide to be useful, then you’re all set! Star Trek Discovery is currently on its 2nd season and is set to conclude sometime April, so fasten your seat belts and start binge-watching the show to catch up! Remember to unblock CBS All-Access and other streaming sites with your VPN. It’s completely legal! And another thing, don’t ever torrent or stream from unofficial sources. Otherwise, you’re asking for trouble. Now board your own ship and journey with Michael and the rest of the crew.